The mysterious disappearance of Malaysian Airlines flight MH370 in 2014 may have been caused by a power surge that rendered the plane uncontrollable, a fresh Australian technical report indicates. The so-called “zombie plane” theory is one of several trying to explain the disappearance of MH370. The report by the Australian Transport Bureau released last week has evidence backing the theory, the Daily Beast reported. “It’s the first official acknowledgement of what had previously been only speculation, that there was a sudden loss of electrical power capable of disabling vital systems,” the news website said. The catastrophic loss of power may have happened anytime in a 56-minute window between the final scheduled transmission from the Aircraft Communications Addressing and Reporting System (ACARS) and an unsuccessful attempt by the airline’s dispatchers to contact the crew, according to the Australian report. ACARS monitors the critical systems of aircraft and automatically transmits the data at half-hourly intervals. After the power failure, at least one system managed to reboot and continue functioning, the ATB report said. Twenty-one minutes after the failed attempt to communicate with MH370 the Satellite Data Unit (SDU) system performed a scheduled ‘handshake’ with a satellite operated by Inmarsat. Such handshakes, or pings, are made every hour and MH370 transmitted seven of them during its flight. The pings allowed rescuers to narrow down the search area in the Indian Ocean from vast to merely big. The ATB considered four possible scenarios leading to a catastrophic power loss, two of them involving human tampering with neither implying the MH370 crew went rogue, another popular theory on the plane’s disappearance. The Daily Beast says the report’s findings back a scenario in which a consignment of lithium-ion batteries started a fire in the front cargo hold of the Boeing 777, which breached a wall and damaged the plane’s Main Equipment Center. The SDU, which continued to function right until the flight’s crash, is located in the roof of the cabin rather than in the Main Equipment Center, which may explain why it managed to reboot. Malaysian Airlines flight MH370 with 239 passengers and crew on board disappeared in March 2014, during a flight from Kuala Lumpur to Beijing. Shortly after takeoff it disappeared from radar and stopped communications while making a sharp left turn and flying south-west towards the Indian Ocean. The crash site of the plane has not been found, but the search operation continues and is expected to be completed by mid-2016. 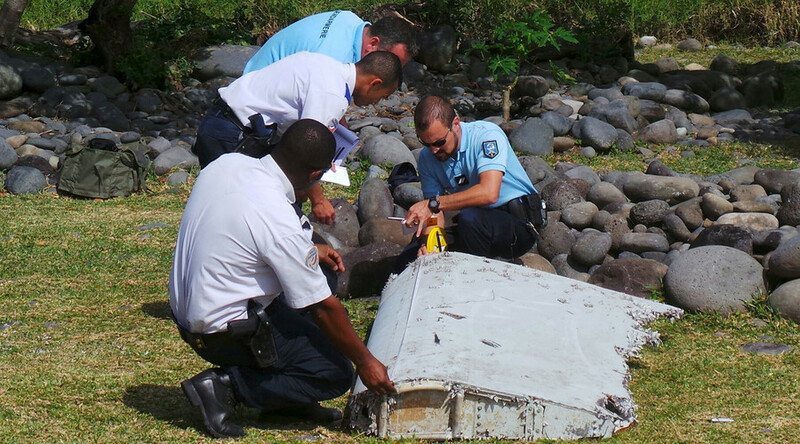 The only piece of wreckage from the plane found so far is a part of its wing discovered in June on the island of La Réunion near Madagascar. The piece is currently is being analyzed in France.